Gaius was reported missing at Helping Lost Pets (and you can contact his owner via that link). Gaius is a senior black and white male tabby cat. He is not wearing an ID tag. He uUsually returns home every few hours for food and attention. Was let out Friday night, Aug 11, 2017 and hasn’t been seen since. Was indoor cat up until a few months ago when he decided he liked going outside and down to the creek that runs past the house. 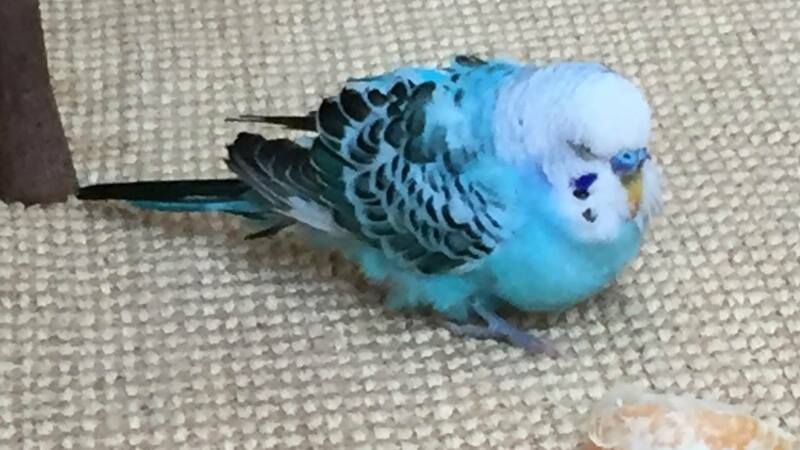 Found Bird: This little blue Australian pudgy has been hanging out in a Wayland yard. He’s in good hands, but it would be great to get him reunited with his family. He seems to be in perfect health. If he’s yours, message Kim at kimantonell@gmail.com. mba was reporting missing on helpinglostpets.com. His detailed information is online here. 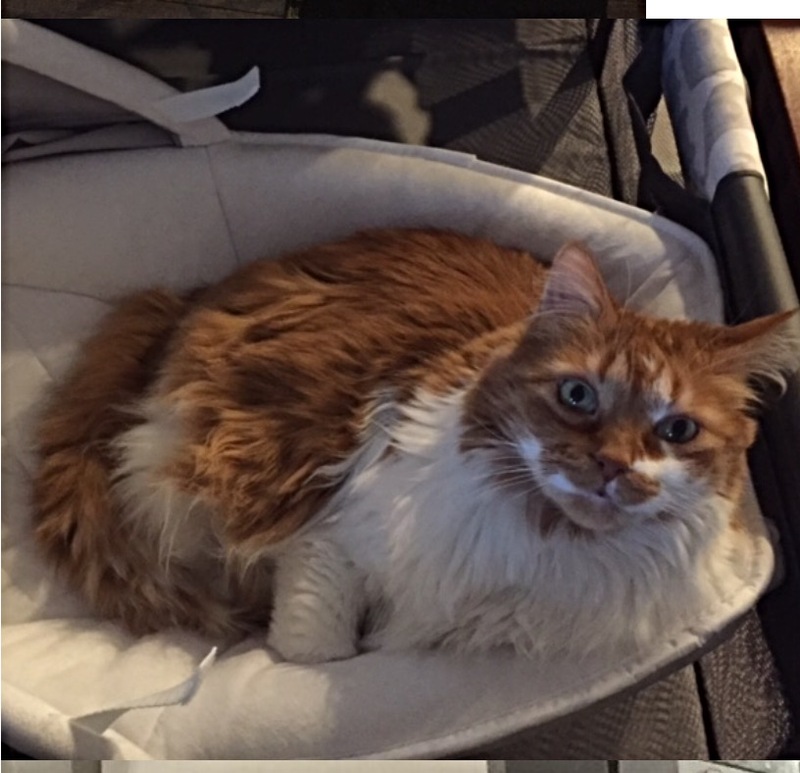 Simba is orange and white, and last seen on April 20 near Happy Hollow Rd and Pequot. If you have information on Simba, you can contact the owner via the contact link on this page. 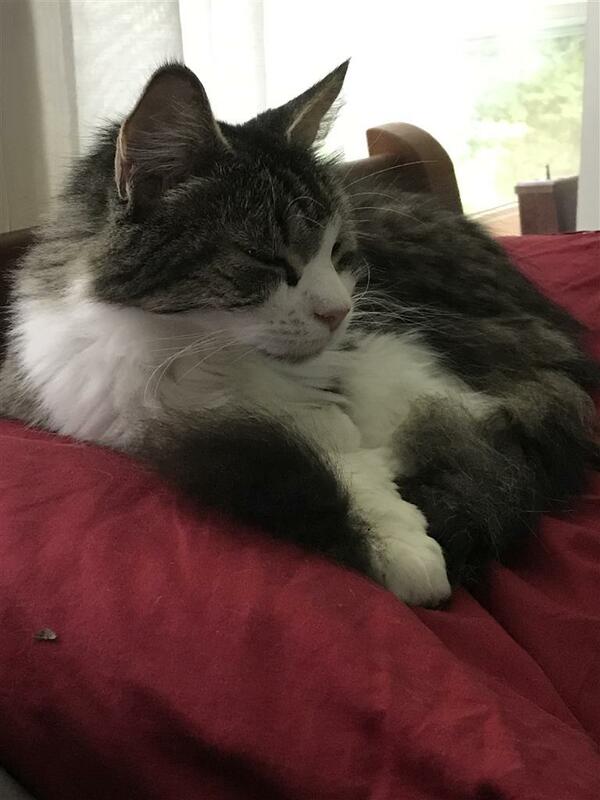 Figgy is a female cat, friendly and is about 3 years old. She may or may not have her collar on and is missing from Pine Brook Road. If you have any information on Figgy, you can call or text Darin at 508-735-4682 or reach him by email at darin308@aol.com. Missing a Black Cat? Since Friday, April 28, a black cat with no collar has been frequenting a yard on Decatur Lane. If you’re missing a cat that fits that description, contact Scott at 508-276-3221, and he can show you where the cat is hiding out.